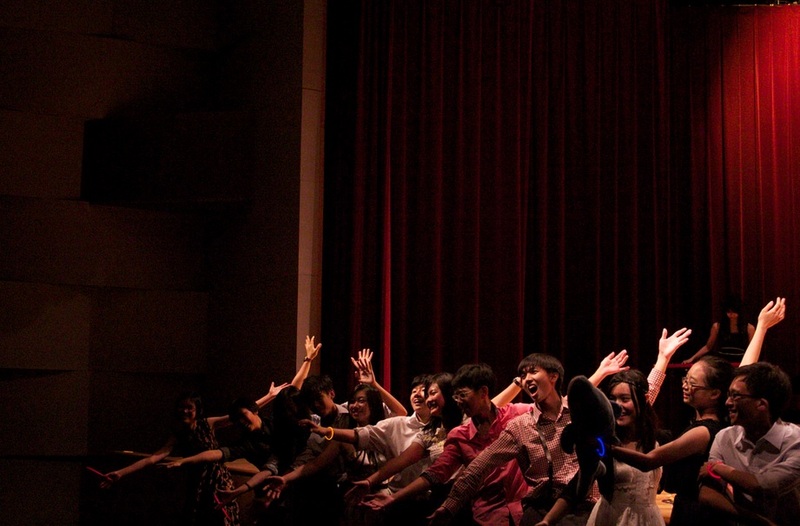 Over two consecutive evenings, Raffles Jazz captivated at their annual concert, this year entitled Take My Word For It. If any concert goers had any misconceptions that jazz was simply “boring elevator music”, they were quickly proven wrong. Instead, audiences were offered an exciting array of soulful jazz music – from swing to funk and everything in between – that amazed and entertained, regardless of whether they had the musical chops to fully “appreciate” it. And if it didn’t, the hilarious skit interwoven with the second half of the concert, a feature unique to Raffles Jazz, surely did. Impressing from the get-go, Raffles Jazz opened their set with a lively, energetic performance of “Always There”, catching the attention of the audience and drawing them in. The piece had a distinctly funky vibe, with interesting two and three-part harmonies and highly technical runs by the soloists, which got the audience pumped up and eagerly anticipating the rest of the concert. This upbeat mood was carried over into in their second piece, “Cantaloupe Island”, which showed off the technical ability of the two soloists, Andrew Chia on the soprano saxophone and Quek Qian Yi on the trumpet, who pulled off elaborate runs throughout their solos. Of note, too, was the strong rhythm set by the piano, bass and drums, which set the pace of the song and held the piece together remarkably. If the first two pieces were full of energy, the third song, “The Girl Who Fell From The Sky”, was a more laidback, dreamy song which allowed the audience to relax in their seats and lose themselves in the music. The flute, played by Shao Yinuo, was a welcome addition to the already heartfelt song, lending an ethereal quality to the performance. In contrast, the next piece, “A Felicidade”, was more sensual, with vocalist Melody Kang pulling off the challenging Portuguese lyrics beautifully. However, technical issues plagued the performance, muffling the guitar solo such that the audience could not fully appreciate the guitarist, Lin Qi’s, skillful work. Next up, Raffles Jazz performed “Recorda Me”, which mainly revolved around a question-and-answer between Andrew on the saxophone and Louisa Huang on the guitar. The song allowed both soloists to show their considerable expertise on stage – including a trill by Andrew which wowed the audience. The next song, “Sir Duke”, immediately got the attention of the audience with an enigmatic entrance by the performers, who all donned sunglasses. This piece was incredibly catchy, and the two vocalists, Sarah Tham and Sonia, had no problems getting the audience to clap along. Musically speaking, it was yet another hit, as the the two showed off their vocal prowess by reaching the extreme ends of their registers with relative ease. They also proved to be extremely seasoned performers, commanding the stage with a presence and confidence that some of the other, less experienced performers lacked. Finally, to round off the first half of the concert, Raffles Jazz performed “Take Five”, widely considered to be a mainstay in jazz canon. The song, performed in an unconventional 5/4 meter instead of the traditional 4/4 meter, was among the most challenging pieces of the entire night. However, to the delight of the audience, all the members clicked well on stage and were able to do justice to this classic. Not only that, but the vocalist, Sonia, delivered her parts exquisitely, despite the high range and rapid rhythm of the song. On that delightful note, the concert broke for intermission. Upon returning, the audience members were surprised to find five chairs set in a semi-circle in front of the PAC stage. Baffled, the crowd reassumed their seats, expecting more musical mastery for the next hour or so. Instead, they were treated to an entertaining skit by the Y5 Jazz members, centred around the failing relationship between Victor and Jenna, played by Mitchell Kwong and Xu Chengyin respectively, after Victor fails to meet Jenna’s expectation on a date. In an attempt to salvage their companionship, Victor attends a Lonely Hearts Club meeting, where he joins four other men in bemoaning their love lives (or lack thereof) and seeking counsel from the club’s enigmatic founder, played by Erica Ngiam, to solve their problems. In something of a self-help group parody, each club member briefly shared his troubles with the audience, punctuated, at the end of each “sharing”, by a different song. The songs were clearly chosen to reflect the nature and character that the skit was taking on. For instance, right after the breakup scene between Victor and Jenna, the group performs an outstanding rendition of “Cry Me A River”. In particular, Saaradhaa’s powerful vocals and extensive range evoked a heartbreaking melancholy, which was complemented by Yinuo’s equally emotional flute solo. Other notable pieces from this section were “Pedestal” and “Four”. Pedestal, composed by local musician Charlie Lim, was a sensuous crowdpleaser, though its borderline-pop tone made it an almost incongruous piece in the whole jazz lineup. However, it was still an excellent song, with Stefanus Phan, the sole male vocalist in Jazz, blowing the audience away with the blend of technicality and soul in his voice as well as his impressive vocal riffing. It was also aided by the electrifying chemistry clearly present between all the members of this set-up, which made the piece stand out amidst the other performances of the night. “The Third Song” also piqued the attention of the crowd with its happy-go-lucky vibe, due to the chemistry between the instrumental parts. However, despite the clever humor and endearing characters, the skit’s repetitive structure eventually took a toll on the audience, as the weariness of having to cycle through all five stories caught up with them. Furthermore, the sheer amount of props and sets utilized made transitions unnecessarily long and, at times, rather awkward. Nonetheless, when the curtains eventually closed on the finale of the play, in which Victor and Jenna get back together, the audience yearned for the night of enchanting music to continue. In response to numerous calls of “Encore!”, the whole of Raffles Jazz came on stage, bedecked in snapbacks and shades, as they led the entire PAC in a hip-hop singalong to the song “American Boy” by Estelle. “Take our Word for it” was undoubtedly a memorable night of music and entertainment that will be remembered fondly by both audience and performers alike. 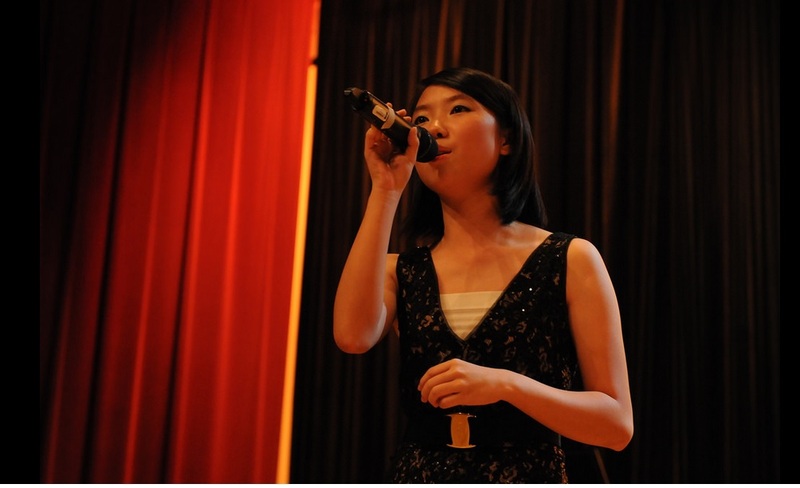 This year’s jazz concert departed somewhat from the usual repertoire, with performers dabbling with songs that are not typically classified as jazz but were nevertheless crowd pleasers, described by J3 senior Yue Ling as being “very refreshing”. Marcus Peh, another alumnus of Raffles Jazz, also gave testament to the effort involved in putting the performance together, sharing with us how they “exceeded expectations and improved really fast.” Even Jazz instructor and alumni Seow Yi Zhe expressed how inspired he was by the expertise of the jazz members, especially for their ages. Evidently, Raffles Jazz did not disappoint with this year’s unique display of musical talent and artistry; on that note, we wish the club all the best in continuing to spread their love for jazz in the years to come.